Jackson Library and the Harold Schiffman Music Library loan laptops, iPads, and other technologies to UNCG students, faculty, and staff. Borrowers must read and sign a Technology Lending Agreement before borrowing Libraries technology. Fill out the agreement here after authenticating. One renewal per item is possible as long as no other borrowers are waiting. Items must be brought to the Check Out Desk to renew and/or return. Due to high demand and limited quantities, patrons are limited to borrowing either one laptop or iPad at a time and only one each of the remaining items at a time. For loan period and fine rate information in Jackson Library, see our Technology Lending Loan Period, Fines and Fees page. 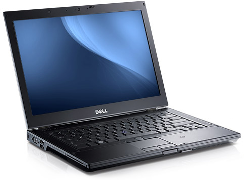 Specs: Windows 7; DVD R/W drive; Wi-Fi; Productivity software, including Microsoft Office suite. Note: Libraries laptops only work when connected to the UNCG AD/GCN network; they will not connect off-campus.